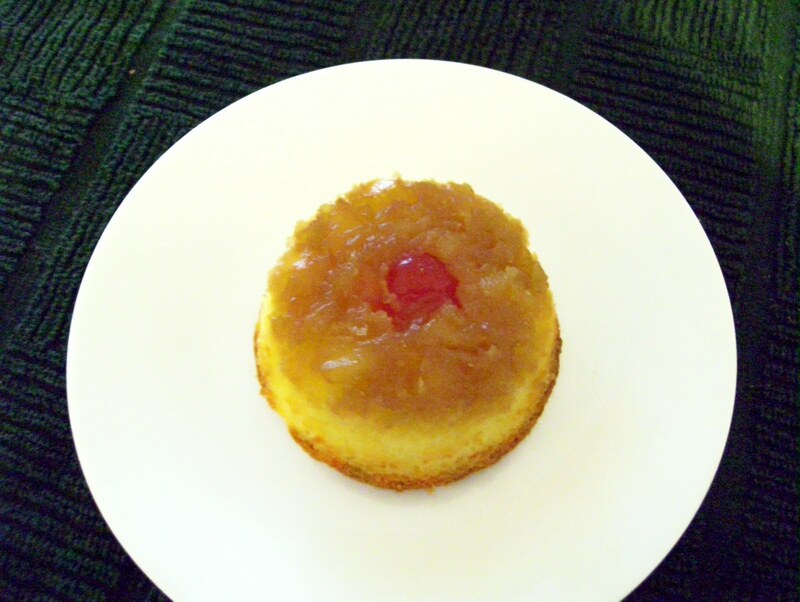 Warm pineapple upside-down cake was a favorite dessert in our home. Not only were the flavors delicate and comforting, but it was fun to make a cake which did not reveal its true self until it was inverted. One could be extra creative and place the pineapple in a beautiful design and also enhance the effect further with the addition of maraschino cherries. Most of the time, however, we simply drained canned pineapple rings and placed them around the cake pan in a predictable fashion; cherry halves were inverted and put in the center of each circular slice. As a child, I always loved the buttery, brown sugar mixture which surrounded the pineapple and felt especially lucky if I was the one whose piece of cake contained a cherry half. I wish my mother had figured out how to make the individual upside down cakes featured in this recipe. There would have been no sad faces as each piece has its own cherry half! Using an inexpensive Jiffy mix not only guarantees that this dessert will fit into the slimmest of budgets, but it also means that it will be easy to make. Melt margarine; add 1 T of reserved pineapple liquid to margarine. Divide margarine mixture into * (8) custard cups. Add 1 T brown sugar to each cup. Add crushed pineapple – divide evenly. Center inverted cherry half in each cup. *(I have successfully made this cake in a muffin pan; they are wider and less high). Add enough water to reserved pineapple juice to equal liquid called for on Jiffy box directions. Prepare cake mix by hand. Stir well. Divide batter among cups. That sounds really good. It is 8AM and I could go for one of those right now! Looks very simple and tasty :) thanks! Marian wrote: I loved your little pineapple cakes idea. 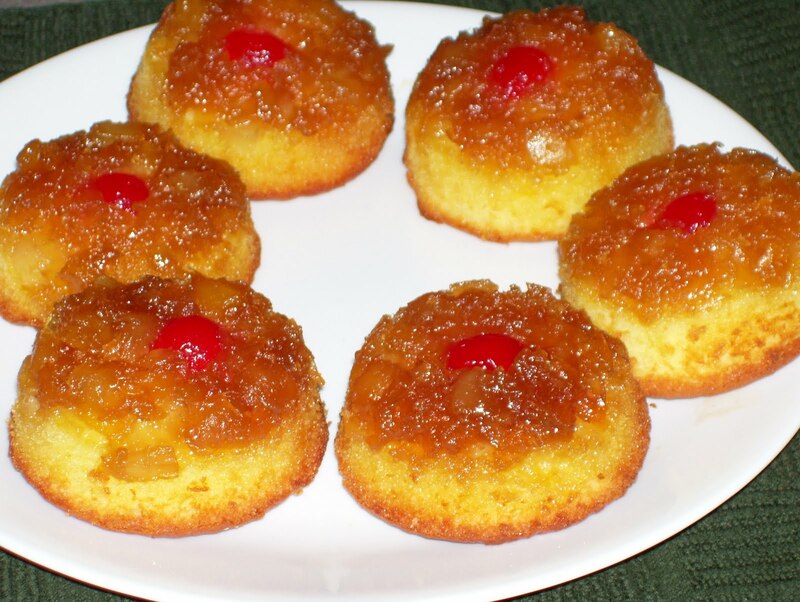 I well remember my mother's pineapple upside-down cakes--always great favorites.